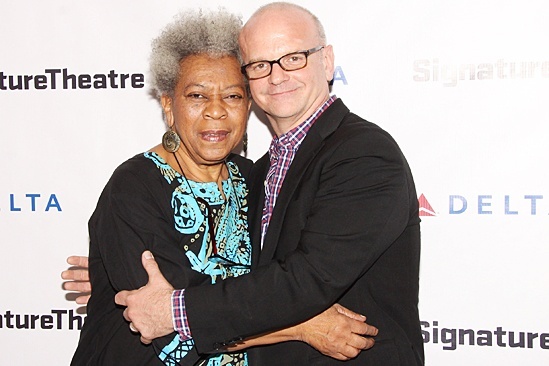 Sad news: BroadwayWorld reports that actor/singer Novella Nelson has died at the age of 77. I remember as a kid endlessly playing the Broadway cast album of "Purlie" and especially loving her "Gone Home" -- what a voice! She was brilliant in "Boesman and Lena" and "Hecuba" at Yale Repertory Theatre in the '80s. She also performed "Bailey's Cafe," "Camino Real" "Digging Eleven" and "Oedipus" there. Former artistic director of Hartford Stage Michael Wilson also directed her off-Broadway on "The Old Friends." 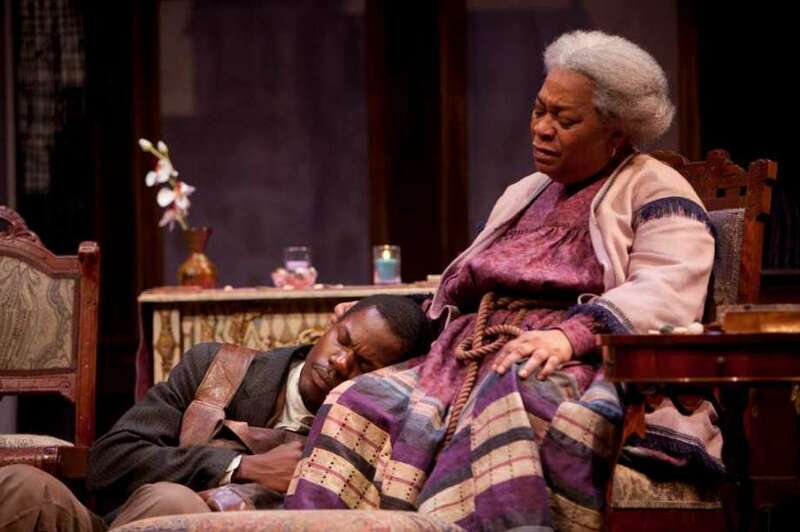 I had the honor of interviewing her when starred in August Wilson's "Gem of the Ocean" at Hartford Stage. Here is that interview. One look at Novella Nelson, and you sit up straight, lean forward and listen carefully. With a deep gaze, low voice and knowing smile, she has the presence of a person who has been to a lot of places, seen a lot of things, learned a lot of lessons. It's no coincidence that the 71-year-old actress has been cast in so many roles as a charismatic seer, whether it be in Sophocles' "Oedipus," Tennessee Williams' Camino Real" or Thornton Wilder's "The Skin of Our Teeth." In August Wilson's "Gem of the Ocean," which begins previews at Hartford Stage Thursday, Nelson plays Aunt Esther, a deeply spiritual character who is introduced in this first chronological work of the playwright's 10-play cycle depicting decade by decade the African American experience in the 20th century. When asked if she has the gift of prophecy, Nelson says, "I don't think I do. But I know that I have a strength about myself, and maybe that's what people see." That strength has helped her carve out a formidable 50-year career in the theater, on the musical stage and in films and television as a singer. On Broadway, she understudied Pearl Bailey in "Hello, Dolly!" played Missy in "Purlie," made her film debut in "An Unmarried Woman" and had roles in "Antwone Fisher," "The Devil's Advocate" and "Cotton Club." She's done guest TV roles on "The West Wing," "One Life To Live" and numerous episodes of the "Law & Order" franchise. And throughout her career she's returned time and again to regional stages. At Yale Repertory Theatre, she starred in Arthol Fugard's "Boesman and Lena" and "Hecuba." At Hartford Stage, she directed "Bailey's Café" and performed in "Digging Eleven," "Oedipus" and "Camino Real." In a different production of "Oedipus," directed by Robert Woodruff at the American Repertory Theater in Cambridge, Mass, she was strung by ropes 10 feet above the stage as she was tortured in a gruesome scene — when she was in her mid-60s.